Posted on September 30, 2013 by catherinedaze	This entry was posted in Machines, overlocker, sewing and tagged overlocker, serger, sewing, sewing machine. Bookmark the permalink. 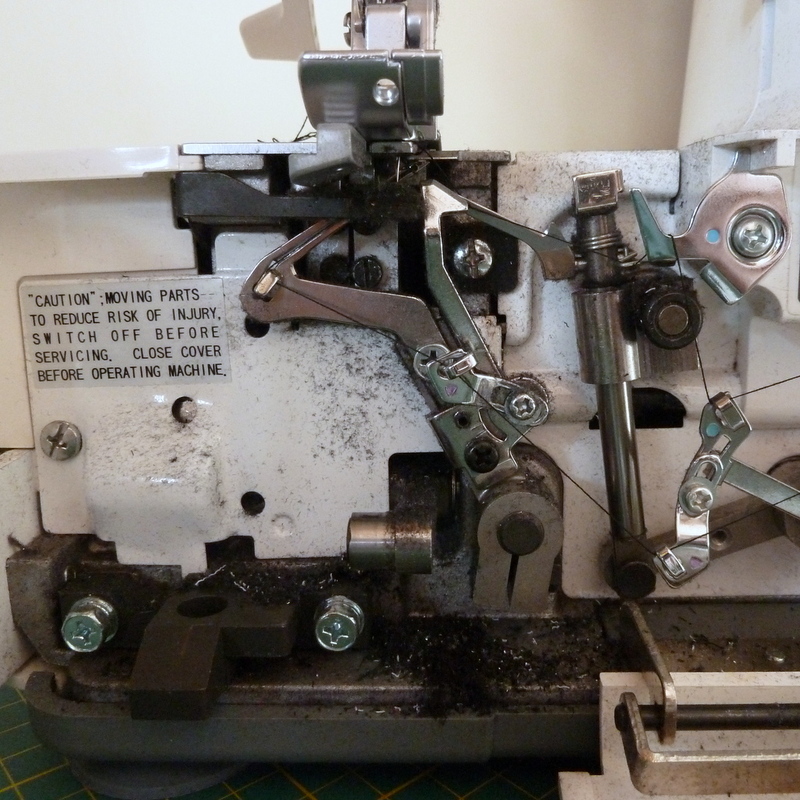 There’s really nothing worse than serger maintenance and whatnot. One time I was trying to thread the damn thing when I was right in the middle of an important project. I struggled for at least thirty minutes (probably because I was stressed and in a hurry) and was close to tears, ready to take a hammer to the thing. I went downstairs and told my husband about how much trouble I was having. He offered to help. I told him that he’d never be able to do it. He sat down and threaded it correctly in about thirty seconds. Funny story! Overlockers really take a beating! I oiled mine today and cleaned it up a bit, because I kept hearing something. And the noise went away. Yea! 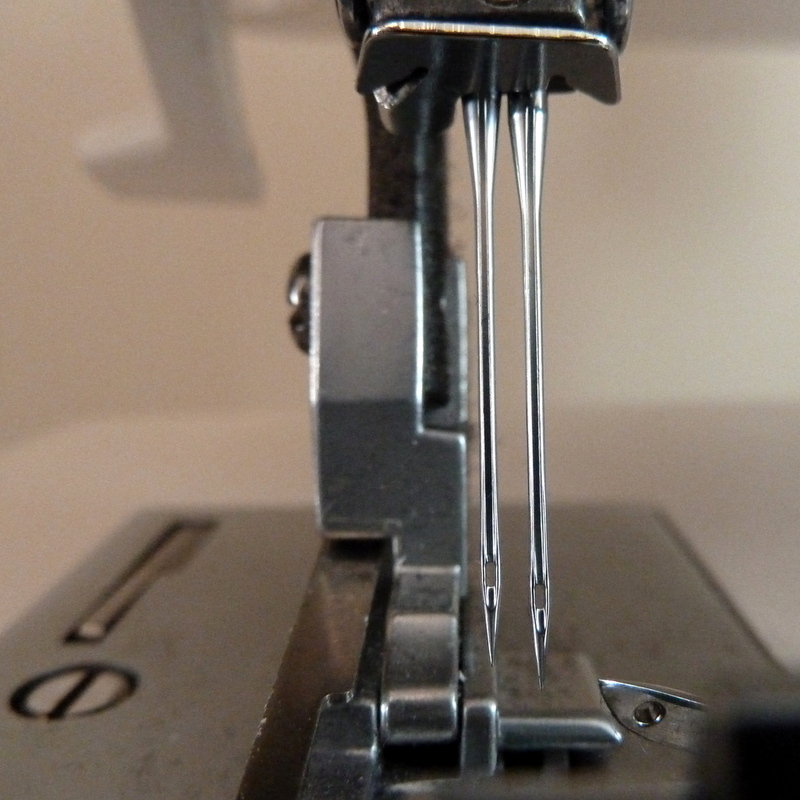 Ha, when I was last having some issues with my overlocker I noticed the needle thing too, nowhere in my manual or in any image I’ve seen are the offset needles mentioned I was convinced my machine was faulty. It’s funny because the first thing I noticed when I got my serger was that the needles don’t line up! Not sure why that was what I noticed, but it was. Right now I am really needing a better way to clean out all the deep fuzz – stuff I can’t get to with the normal brush. Computer vacuums have been mentioned, so I am looking into those, but they are a bit expensive. Anyway, yeah, serger fuzz is a mess. I’m like you….took me a good while and the odd falling out needle to realise!! My overlocker is having issues too. It probably needs good clean and some oiling. Might have to sit down with it this evening. I think my needles dont line up too. I have an older White serger, and the needles do not sit evenly, either. I just got it serviced, and after checking the needles were not even again. It must be a quirk of some models. I am having trouble with the settings on my overlocker. it keeps sucking in the knit fabric and jamming it. I think I am going to take it to be professionally maintained , ie cleaned and blades/knives changed for the first time and then see how they did it in order to to it for myself the next time. I had the same needle fret with mine. Who designs them so that the fluff and gunge collects in hard to access places? Lifting it out teeny bit by teeny bit on a sable watercolour brush does nothing for the mojo. Haha! It took me quite some time to realize that the needles didn’t line up too! my overlocker is still on “time out”…she hadn’t been misbehaving, I just felt like we needed space from each other. but yes its true, the needles indeed do not line up like we think they should. I took mine back to the shop after I bought it cos I was worried about the needles. Hmmmm. And nope it doesn’t mention this in the manual I have either though every picture of the needles in place show them at different heights. Hmmm. My overlocker manual says they aren’t supposed to line up so I’ve never been concerned but one day I decided to change the needle (I was only using 1 needle at the time) and when I put the new needle in my threader wouldn’t work and it took me ages of fiddling (because the internet was no help) before I realised I needed to slightly loosed the empty needle slot screw then the new needled slipped up that tiny big higher and all was ok again.